"Efficiencies of adopting DevOps practices for application lifecycle management"
DevOps and Continuous Delivery are the future of software development. IT managers are looking to improve the process of developing and deploying an application with DevOps and Continuous Delivery technology. 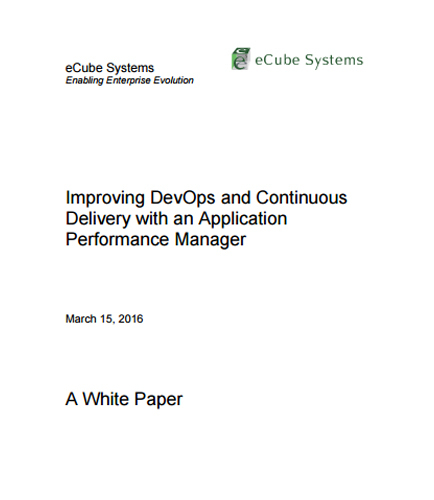 This white paper outlines how companies can automate the management of enterprise applications through a single GUI-based Application Performance Management system.